When it comes to VPNs, or virtual private networks, anonymity is everything. For years, users from around the world have been turning to VPNs to help encrypt their communications, unblock geographically restricted content, or both. With an ever-growing demand for more privacy and security—and an ongoing struggle against government overreach—VPNs have become synonymous with personal freedom. That said, not every VPN should be treated the same. Free VPNs, for instance, often come with malware or trackers—or are just not very effective. If you’re going to use a VPN, you’re better off with a subscription-based service. That’s where ExpressVPN comes in. As one of the world’s largest VPN providers, ExpressVPN offers dedicated VPN apps for virtually every device; it also promises a 30-day money-back guarantee—one of the most generous deals in the business. Unlike other VPN providers, ExpressVPN is based in the British Virgin Islands, which means it doesn’t have to comply with the strict data retention laws that apply to VPNs based in the U.S. or EU. More than that, the company guarantees that it will never keep activity logs or monitor user network traffic—a feature you won’t get with most free VPNs. With tons of anonymous payment options (including Bitcoin), you simply need a valid email address to get started. When it comes to security, ExpressVPN is second to none. Each VPN app uses military-grade encryption and comes with a host of privacy features, including a built-in kill switch, DNS leak checker, and more. With unlimited bandwidth and server switches, users can instantly secure any open hotspot and browse the web without worry. But where ExpressVPN really shines is in its customer service. While most VPN companies tend to be touch and go, ExpressVPN is one of the few providers to offer true 24/7 live customer support. ExpressVPN also delivers some of the fastest VPN server speeds on the market. Its unique Smart Location feature automatically connects you to the optimal server location (usually the one closest to you), and its customizable apps feature a range of VPN protocol options—making it easier to browse based on your specific needs. With more than 140 VPN locations in 94 countries around the world, you’re never shy of options. Plus, ExpressVPN’s service is even compatible with a wide range of popular third-party devices and software, including Kodi, Amazon Fire, Xbox, and more. With a single subscription covering up to three devices simultaneously, you can download the VPN app on your phone, desktop, and tablet. 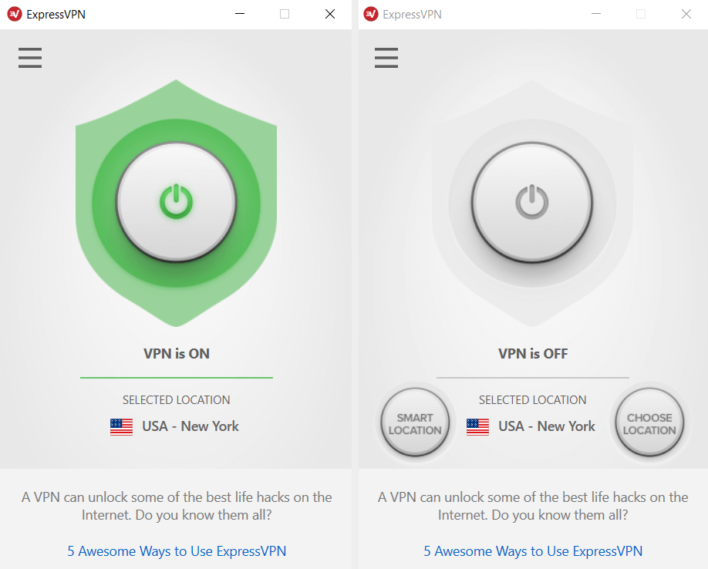 And if you want even more protection, you can take advantage of ExpressVPN’s dedicated router apps and instantly add comprehensive VPN security to every internet-enabled device in your home. No VPN with this many features comes at a bargain-basement price, but ExpressVPN is worth paying a little extra for. With a robust security package, tons of accessible apps, and an extra generous 30-day money-back guarantee, you can try ExpressVPN today with no risk. And if you select the 12-month plan, you’re able to get three full months of free service. If you care about your privacy and are in the market for a powerful VPN service that’s dedicated to supporting its customer base, ExpressVPN is the way to go. Get ExpressVPN for all your devices today.